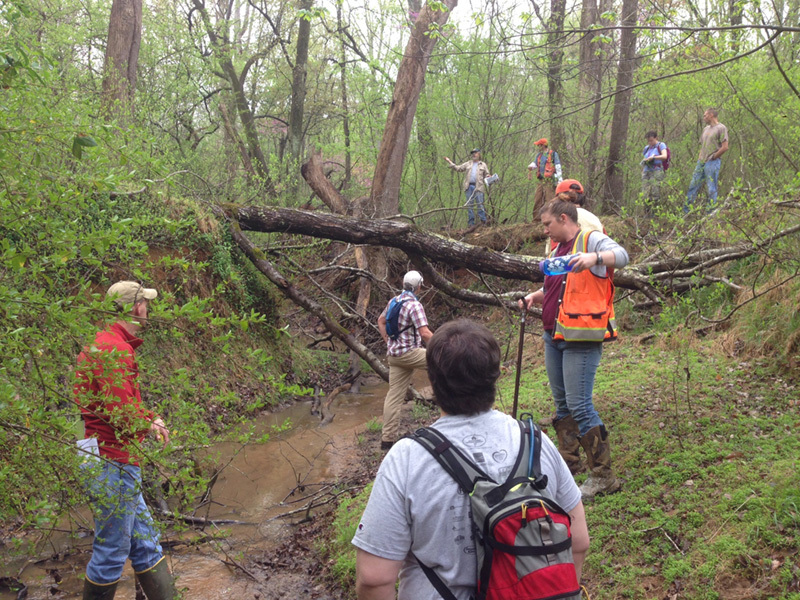 This month, we walked the Reedy Creek project site with representatives from state and federal regulatory agencies. The purpose of this walk was to review the current conditions of the site and preview the design approach. We’re excited that WBTV did this special on the Reedy Creek Stream Restoration project. 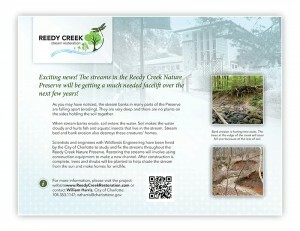 Charlotte, North Carolina – Charlotte‐Mecklenburg Storm Water Services is partnering with Mecklenburg County Park and Recreation on the City’s largest single stream restoration project ever‐ The Reedy Creek Restoration Project. 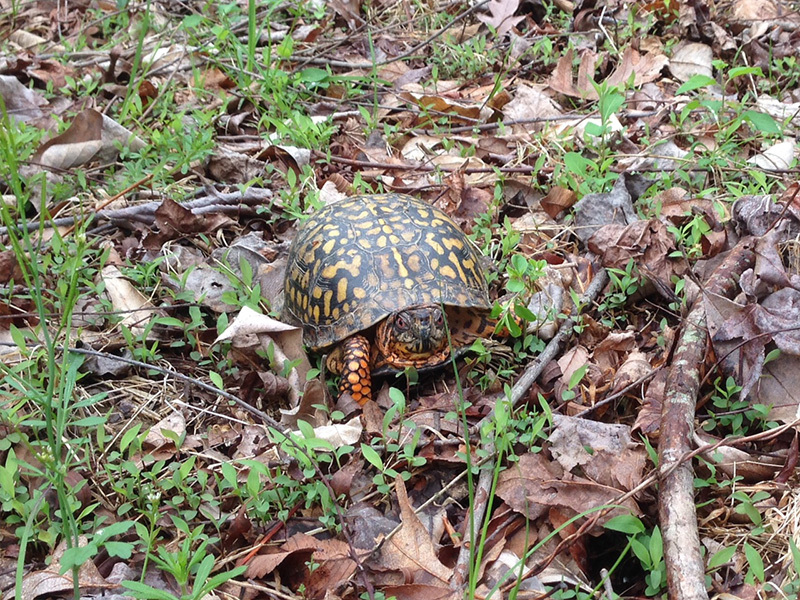 This project will restore and preserve approximately 7.5 miles of streams and 5 acres of wetlands within, and just outside of, the Reedy Creek Nature Preserve, a 737‐acre county park in Charlotte. This project will improve water quality, be a model for interagency cooperation, and enhance knowledge of stream restoration for the region. “We are excited to partner with Storm Water Services to restore and protect this incredibly valuable community asset. The restored streams and wetlands of the Reedy Creek Nature Preserve will be enjoyed by many generations to come,” said Chris Matthews, Division Director-Nature Preserve and Natural Resources at Mecklenburg County Park and Recreation. The restoration project is funded by the City’s Stream and Wetland Mitigation Bank. This Bank enables the City to fund the restoration of streams and wetlands in watersheds where infrastructure projects unavoidably impact them. Infrastructure projects can move forward with limited cost and time delays, and water quality improvement projects are strategically implemented where they are needed most. The Topographic Survey is Complete! 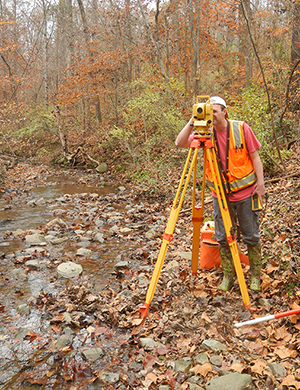 We’re excited to announce that topographic survey for the Reedy Creek stream restoration project is complete! 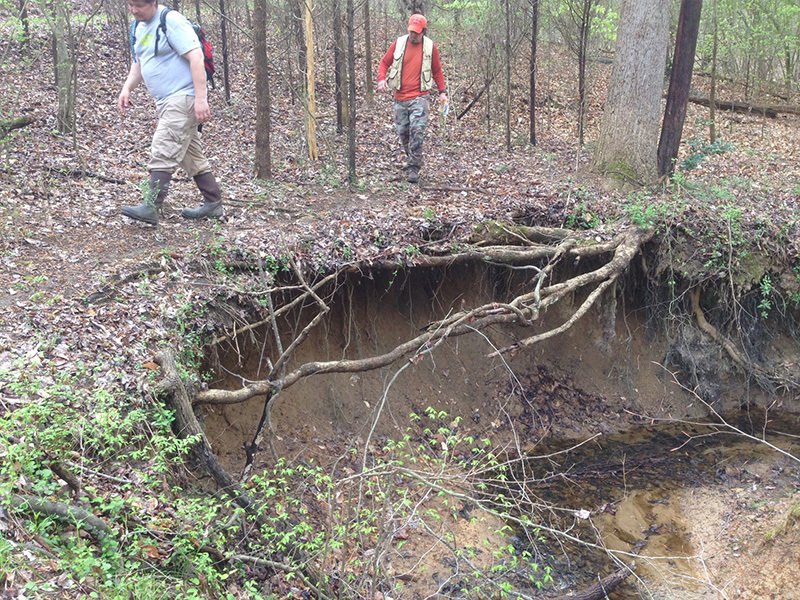 This type of survey is performed to determine the shape of the existing streams and their floodplains. You may still see scientists and engineers with plan sets walking the streams as they develop their designs. If you have any questions or concerns, please contact William Harris at wtharris@charlottenc.gov.